We are your global partner dedicated to making the world safer, healthier and more productive. Our filtration solutions meet or exceed all quality and safety standards – working to protect your most important assets. 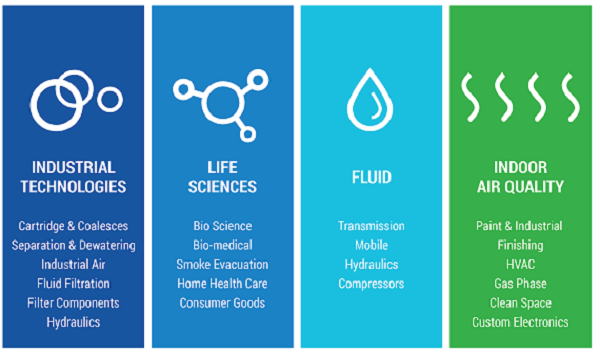 Our businesses are grouped in four divisions: indoor air quality, fluid, life sciences and industrial technologies. Find out more. Provides technologically innovative solutions for automotive and industrial applications in the areas of engine systems and components, filtration and thermal management. Provides effective ecological and economical solutions for safe dust filtration and clean process performance.